If you've ever gone camping, hiking, backpacking, climbing, mountain biking, trail running, or nearly anything else in the outdoors, chances are you've used a headlamp. While this handy piece of technology requires little introduction (everyone knows the benefit of hands-free illumination), the impressive leaps in headlamp technology over the past few years deserve some recognition. The industry is in the midst of a horsepower war, with one-upmanship seen in maximum light output (rated in lumens) and battery options, and we the users are the happy beneficiaries. Below are our top headlamp picks for 2019. For more information, see our headlamp comparison table and buying advice. What we like: Bright, great functionality, and unbeatable price. What we don’t: No USB rechargeable option. A personal favorite of the editors here at Switchback Travel, the 2019 Black Diamond Spot hits a great balance of power, durability, and price. The headlamp projects a strong 325-lumen beam and has a touch-sensitive housing for quick brightness adjustments. You also get a full suite of lighting choices, from the long-range dual LED to a softer proximity LED and red LED for use around camp. And it’s worth noting that Black Diamond has greatly increased ease of use—our main complaint with the prior model—by adding a second button that switches rapidly between the various modes. The headlamp market is competitive overall, but nothing can match the Spot’s well-rounded design. It’s priced right at $40, and the lamp’s updated, low-profile shape makes it easier to wear while running or store in a pack. Further, the BD can handle being under 1.1 meters of water for 30 minutes, which gives you that extra level of security when you have to hike out in a downpour. All told, for most outdoor adventuring, the versatile Spot 325 is the headlamp to get. What we like: Rechargeable battery, bright, and lightweight. What we don’t: Limited adjustments and water resistance. Headlamps with rechargeable batteries are becoming more and more ubiquitous, and Petzl is the class-leader in this department. Their Core series of headlamps are fully rechargeable, but the hybrid design allows the option to swap the battery pack out for three AAA batteries. This is particularly helpful if you plan on being in the field for days on end without recharging capabilities. From their current line-up, the Actik Core model is a standout, featuring 350 lumens between two white LEDs in a reasonably priced package. You get consistent performance across its burn time (seven hours with standard power) and easy charging via micro USB. At $70, the Actik Core is more expensive than the non-rechargeable competition, and it doesn’t keep up in other functions. You get a red light mode and similar maximum brightness as the Black Diamond Spot and Storm but without a dimmer (the Actik Core has only three preset brightness levels). Moreover, the Petzl has a relatively low IPX 4 water-resistance rating, which doesn’t protect it from submersion. 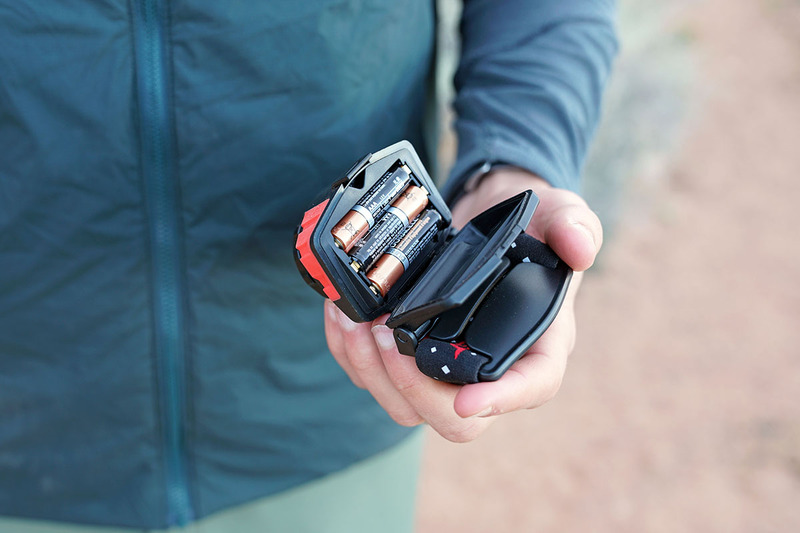 But the rechargeable convenience, sub-three-ounce weight, and strong output give the Actik Core a high spot on our list. What we like: Easy to use and a good price. What we don’t: Not a particularly powerful headlamp. 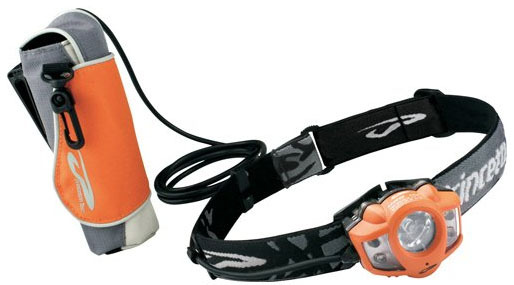 For camping trips or use around the house, a simple headlamp like the Petzl Tikkina is a fine choice. This very popular design recently was updated with a stronger 150-lumen maximum output from a single white LED. We’ve found that the center button is easy to find and operate, and the beam is great for nighttime cooking and setting up tents in the dark. As with the Actik Core above, the Tikkina is compatible with Petzl’s Core rechargeable battery, although in this case it’s an accessory that is purchased separately. If you anticipate using the Core technology, we recommend purchasing the Actik Core above for a similar cost ($10 more) and a lot more lumens. But if you stick with AAA batteries, the Tikkina hits a nice balance of performance, weight, and price. What's not to like with the Petzl Tikkina? By today’s standards, the light is decent but not overly impressive, and you don’t get the dimming capabilities like the Black Diamond models. In most cases, we’d recommend spending the extra $20 for the Black Diamond Spot, which offers a significant step up in both output and versatility. But for the truly budget-conscious, the Tikkina gets the basics right in a $20 package, and the bump in lumens makes it a nice option. And if you’re really pinching pennies, check out the Energizer Vision HD below. What we like: Crazy bright; focusing ring works really well. What we don’t: Heavy, drains batteries on high. 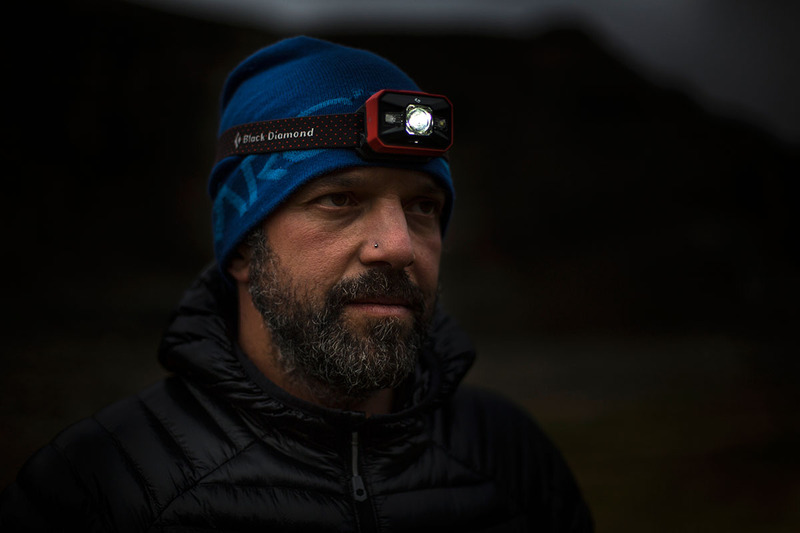 Oregon-based Coast Products flies a little under the radar compared to Black Diamond or Petzl, but they have a strong line-up of quality headlamps. A great case in point is their FL85, which has an impressive 615-lumen maximum output from a single beam, along with an easy-to-use focusing ring for adjusting between proximity and distance modes. The light simply blew us away with its brightness and maximum distance of 600 feet (the Spot above reaches about half that distance), but the lower power modes still are plenty functional for use around camp and lighting up a trail. The penalties in getting such a powerful lamp are weight, bulk, and battery life. At 4.5 ounces, the Coast feels heavy sitting on your forehead and takes up quite a bit more space than the Spot or Actik Core in your pack. Furthermore, at full power you’ll burn through your AAA batteries in two hours. This is a common problem with high-output headlamps: the Fenix HL60R below offers a whopping 950 lumens, but with run time of less than an hour. If you save the maximum output only for the times when you truly need it, the FL85 delivers amazing power at a reasonable price—and is often found on sale. What we like: Great beam for runners. What we don’t: Not our preferred choice for general use. Most of the headlamps in this article are intended for general use—hiking, camping, climbing, or as an emergency lamp to store in your house or vehicle. And while many of these lamps can be used for running, dedicated nighttime runners are better off getting a model built specifically for the sport. Our top running headlamp is the Black Diamond Sprinter: it puts off a strong, consistent beam for seeing the trail ahead, is nicely balanced with the battery on the back of the strap, and has a red taillight on the rear housing to increase visibility. The Sprinter’s intended use also happens to be its biggest downside. The single beam along the front is ideal for running or hiking on a trail, but the lack of a proximity beam makes it much less useful around camp. And the additional strap over the top of the head and separated battery pack add a little weight and bulk relative to the lamp’s output and price. If we were to choose a single headlamp, it would be one of the options above. But for serious runners or those that will value the strong oval beam, the Sprinter is an excellent option. And if you’re looking for a super lightweight running option, check out the Petzl Bindi below. What we like: Made for cold environments. What we don’t: The heaviest headlamp on our list. Built for cold and harsh conditions, the Princeton Tec Apex Extreme delivers strong performance and reliability. The most unique part of the design is the remote battery pack, which allows you to store the battery inside your warm jacket or sleeping bag to keep it from draining power in freezing temperatures. Pumping out 550 lumens between its central spot and four wide beam lights, the Apex Extreme is an intriguing option for alpine climbing, mountaineering, and four-season camping. The most glaring downside of the Apex Extreme is that it’s overkill and too bulky for most backcountry enthusiasts. Running on a whopping 8 AAs, the separate battery pack is large and contributes to a total weight of 14.7 ounces (the heaviest on our list). Ironically, this makes it a tough sell for the weight-conscious alpinists who could really use it most. But sometimes there’s no other option—a heavy headlamp with remote battery pack, or no light at all. If you’re sick of rapidly draining power in the cold, the Apex Extreme is one of the best solutions we’ve seen. What we like: Amazing beam and easy adjustments. What we don’t: Short battery life and a little heavy. Similar to their FL85 above, Coast delivers a lot of performance for the dollar with the HL7 Focusing. With a retail price of $50—on sale at the time of publishing for $27—the HL7 packs a healthy 285 lumens. The focusing ring works just like a high-powered flashlight, adjusting from flood to spot. It’s simple functionality that is absolutely painless in use—there’s no need to cycle through various modes to swap between close proximity and distance. And in full spot mode, it projects a beam that exceeds 350 feet. For reference, the Spot above maxes out at about 260 feet. Why the mid-pack finish? The major shortcomings of the Coast HL7 are battery life and weight. Even if you aren’t maxing out the lumens, it’s easy to go through a set of AAA batteries fairly quickly. And not everyone loves the bulky battery pack at the back of the strap. But overall, the Coast won us over—just as it has many others—with its seamless performance and budget price. What we like: Bright and waterproof. What we don’t: Overkill and overweight for backpacking and camping. We are getting into summit territory with the Black Diamond Icon. This headlamp is designed to last a long time, shine brightly throughout, and handle the elements. Its IP67 rating means the BD can withstand harsh weather, and the removable battery pack allows you to keep it warm in frigid temperatures. Clearly, the Icon is overkill for most normal hiking and backpacking trips, but t’s a favorite among the outdoor community for serious adventures. 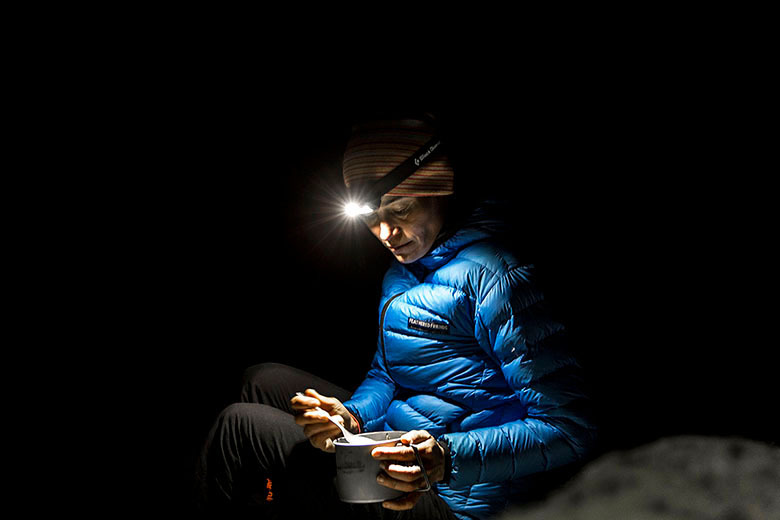 With a 500-lumen output, the Icon is the most powerful Black Diamond headlamp on the market. You also get a healthy battery life even on the highest setting, and a fully waterproof casing that protects the headlamp up to a depth of 1 meter. The biggest downside of the Icon is that it weighs a hefty 10.6 ounces and the rear carrying case is bulkier than the less powerful options. In addition, the lamp is showing its age and there are now brighter designs available for less money. But for a bombproof lamp that is up for just about anything, we recommend the Black Diamond Icon. What we like: Ultra-bright burst setting and durable construction. What we don’t: Poor battery life. With a large 950-lumen LED staring straight at you and a second strap for securing over the top of the head, the Fenix HP60R doesn’t lack presence. And its all-metal housing and IPX 8 waterproof rating (submersible up to 2 meters) make it among the more durable and weather worthy lamps available. We also like the one-switch operation, which is much simpler to master than similar models from Black Diamond. The Fenix packs an incredible punch, but don’t expect the fun to last long—the high output modes will drain your battery at a rapid rate. The 950-lumen mode will go out in well under an hour, and the “high” 400 lumen setting only nets you 3 hours of use. Further, the nearly 6-ounce weight is on the heavy side for fast and light trips. 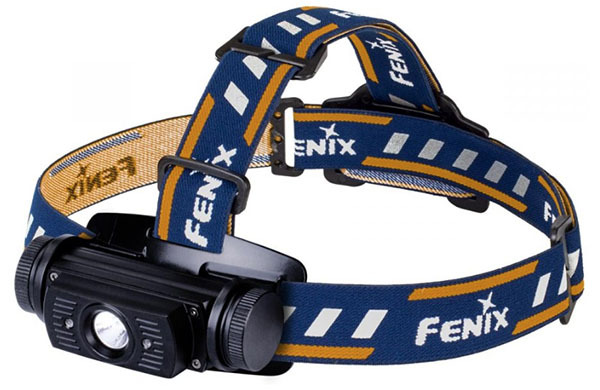 But with by far the most powerful beam on our list, the Fenix HL60R has its place for those who need a lot of light. What we like: Very lightweight; rechargeable design. What we don’t: Only one light. 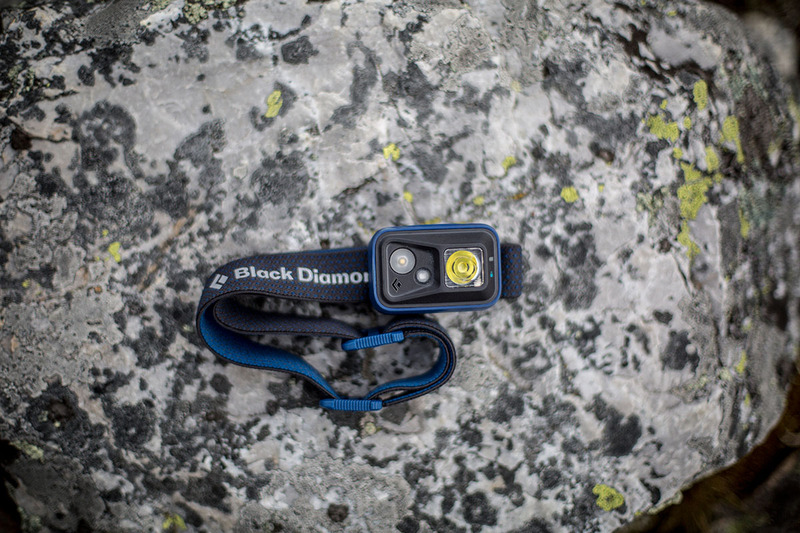 Black Diamond’s Iota headlamp combines rechargeable convenience in an ultralight package. The feathery 1.9-ounce weight makes it one of the lightest headlamps on our list (only the bare-bones Petzl e+LITE and Bindi below are lighter), giving the Iota a minimalist feel that remains comfortable over long stretches of time. 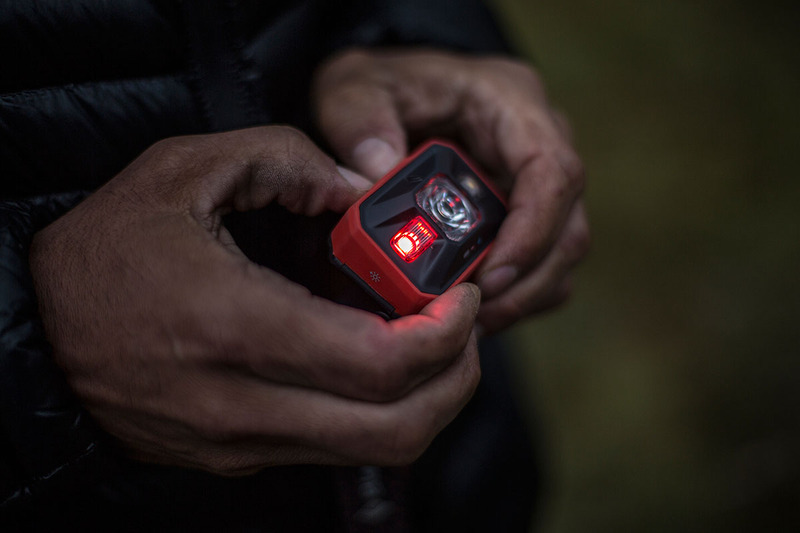 The beam puts out 150 lumens, which is plenty of power for lighting up a trail or path for running. And just like other BD products, the dimming features are excellent and the headlamp has a lockout mode to avoid accidentally turning on and draining your battery. As with the Petzl Actik Core above, you do pay a premium for the Iota’s rechargeable design. But taking into consideration the replacement costs of batteries, it’s a small price to pay over the long haul. Other downsides are that the beam doesn’t work as well with objects that are close-up, and the light has quite a bit less power than Black Diamond’s Spot. As a result, the Iota doesn’t crack the top half of our list, but if you’re looking for something light and compact, it’s a nice option. And if you’re a Petzl devotee, their Tikkina is a very similar headlamp at half the price—although you’ll need to purchase the $30 CORE battery if you want the rechargeable option. What we like: A super powerful and highly advanced light. What we don’t: Very expensive and the technology hasn’t been perfected. We’ll start with the obvious: for $200, you could buy a shopping cart full of headlamps. But what sets the Petzl NAO + apart from other models is its strong output and reactive technology. Designed to respond to the object you are looking at, the lamp automatically adjusts its beam distance and intensity, hence using less energy and eliminating the hassle of switching back and forth between modes. More, the NAO + has a compatible phone app where you can check power levels, store settings, and make adjustments to light performance. Pumping out a maximum of 750 lumens, the NAO + is incredibly powerful and runs on a strong 2600 mAh lithium-ion battery. This alone makes it a great headlamp for those that demand the highest levels of performance, but the reactive lighting technology hasn’t been perfected. The sensor can be tricked by dust or rainfall, and the battery life is disappointing. At its price, the NAO + has relatively limited appeal, but continued improvements to the reactive design are promising. What we like: Reactive technology for less than the NAO + above. What we don’t: A lot of money for the power. Petzl’s Reactik takes the advanced reactive lighting technology of the NAO + above and translates it to a more budget-friendly and compact design. As with the pricey NAO +, this light senses where you’re looking (near or far) and adjusts the brightness and beam accordingly. It’s true that the Reactik is down on power with only 220 lumens, but its $85 price is the cheapest way to access the lighting technology and includes premium features like a rechargeable battery. In theory, we love the idea of reactive lighting. In practice, the Reactik has its flaws. For one, as with the NAO +, elements like mist, snow, rain, and even moths can throw off the sensor. Second, it’s an expensive headlamp: take away the technology, and you have a really pricey rechargeable version of the $30 Tikka. For the right person, like a climber that needs to alternate between looking at a hold in front of them and the route above, the Reactik might make sense. But for everyday outdoorspeople, we’re not convinced this functionality is worth the added cost. 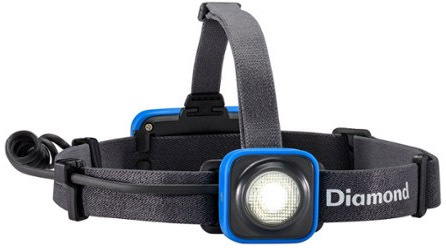 What we like: A less expensive running headlamp than the BD Sprinter. What we don’t: With just a single strap, it has a tendency to bounce while running. Nathan’s Neutron Fire is one of the simplest and least powerful models on our list, but for runners, it’s worth a look. This headlamp covers the basics for nighttime jogs: a central spotlight illuminates the path in front of you, and two side strobes put out red, blue, and green lights for safety near a road. Overall, the Neutron Fire is user friendly with dedicated buttons for each light mode, has solid battery life, and the price is right too: you can routinely find it on Amazon for around $25. The Neutron Fire is a good value at less than half the price of the Black Diamond Sprinter above, but you do lose out on some features. For one, the Nathan has a single strap (the Sprinter has an additional strap over the top of the head), and therefore has a tendency to feel front heavy and bob up and down. This, quite honestly, is exactly what you don’t want in a running headlamp. Second, the 115 lumens are considerably less powerful than the 200 lumens of the Sprinter. But the beam should be strong enough for some folks, and if you’re looking for a budget-friendly light with running-specific features, the Neutron Fire is a good place to start. What we like: Complete feature set. What we don’t: Less reliable than the competition. The Vizz is Princeton Tec’s answer to the versatile Black Diamond Spot, Petzl Actik, and Coast FL headlamps above. It comes with a dedicated light for close-up work, 420-lumen beam for distance, and a sturdy IPX 7 waterproof rating. The single button at the top of the lamp isn’t as easy to find as the Spot, but the operation is pretty intuitive and doesn’t take as long to master as the somewhat confusing Black Diamond (although the latest Spot 325 is a bit leap forward in this respect). And impressively, the Vizz is still made in the United States. The strong beam, waterproofing, and reasonable weight of the Princeton Tec Vizz put it in the running with other $40 to $50 models, alongside those from BD, Petzl, Coast, and Fenix. That said, it doesn’t have as strong of a reliability record as the top brands, and battery life still falls short. At its current price of $42 and without any standout features, the Vizz gets a spot towards the bottom of our list. What we like: Well-fitting and lightweight. What we don’t: Expensive; short battery life. Petzl’s newest, most stylish headlamp offers 200 lumens and tips the scales at only 1.2 ounces. With a thin and well-fitting strap, low-profile light, and tiny rechargeable battery, the Bindi is ideal for runners who need their headlamp to stay put on their head—and its slim design wears well around the neck too. The IPX 4 rating isn’t anything special, but should be enough to keep the light on while running in light rain. Nitpicks with the Bindi? For one, the price. $60 could get you two Nathan Neutron Fire headlamps or a rugged, 325-lumen light like the Black Diamond Spot (and $20 change). Furthermore, the battery life of the Bindi concerns us—it only burns for 2 hours on full power, and 3 hours when switched to 100 lumens. But for urban runners with daily access to a USB charger, this is a comfortable, well-designed headlamp that’s certainly worth a look. What we like: Bright for the price. What we don’t: Not for the serious outdoors person. The Energizer Vision HD is a surprisingly powerful and kid-friendly headlamp at a great price. With 150 lumens but only a distance rating of 40 meters, the Vision is best for proximity lighting, perfect for setting up camp, cooking at the end of a long day, or reading in the tent. This headlamp is powered by three replaceable AAA, is splash resistant, and has both a spot and flood function. For the price, you inevitably have to give up a few features. Here, the Vision HD lacks a strobe mode and does not include a red LED. And despite a decent max output, the Vision HD is not tough enough to really trust on serious backcountry outings. All that said, it’s a tremendous value and a great option to keep in your tent, car, or home. What we like: Great emergency light - ultralight and simple. What we don’t: Low light output. Sporting a minimalist look, the Petzl e+LITE is the perfect ultralight backup light. Weighing less than 1 ounce, it even shrinks the standard strap down to a diminutive size. If the light was any heavier, this would lead to discomfort, but once you dip into fractions of an ounce, you can get away with such things. The light is made to last with an IPX 7 waterproof rating and batteries that are designed to work even after being in storage for 10 years. Super simple to use, which is great for an item that might be stored for a long time, just turn the switch on the face of the e+LITE to change between red and white lights and strobe modes. Now, to be realistic, this light is a little pricey if you’re focused on max light output (only 50 lumens), but it’s the perfect headlamp for an emergency kit or to bring along on a day hike. This is a tough question to answer because manufacturers are pushing the max lumens higher and higher, making the headlamps of yesteryear (or even last year) look dull in comparison. Take the Black Diamond Spot as an example. A few short years ago, it was a then-blinding 90 lumens in the highest setting. The follow-up version jumped to a max of 130, then 200 lumens, and now it's at 325 lumens. As a one-time owner of the former 90-lumen model, I was downright thrilled with the performance at the time. Now, a side-by-side comparison shows a striking difference. When deciding on the proper number of lumens, it's worth considering that you shouldn't plan to be in the light's max setting for most situations as it will drain the battery quickly, but it's sure helpful to have a strong beam just in case. As a general statement, we’ve found 25-150 lumens are great for around the house and as a backup for hiking, backpacking, and camping. For a navigational aid in complete darkness, you’ll want to jump into the 200-plus-lumen category. For the extremes like spelunking, or when you’ll be traveling at higher speeds, such as a night trail run or mountain bike ride, plan on starting your search at 250 lumens. It's important to note that lumens do not perfectly represent the brightness and quality of a headlamp. 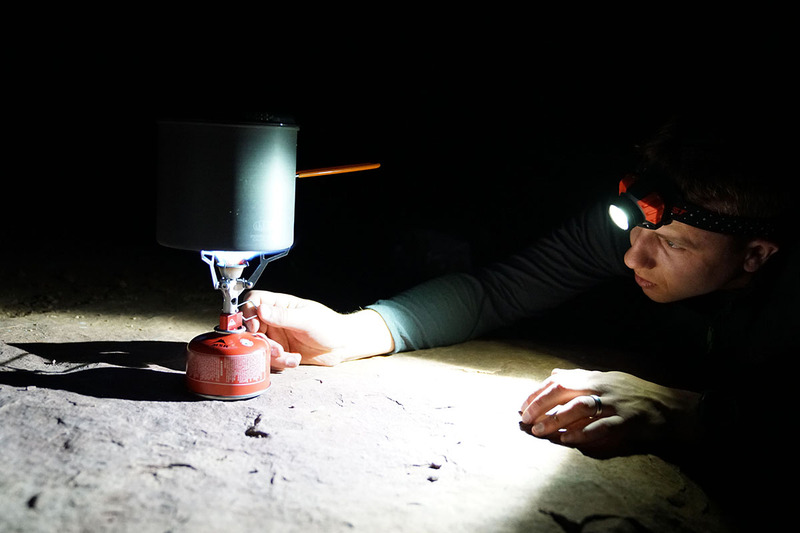 What a lumen actually measures is the amount of visible light that these lamps can generate, which doesn't always translate to how well it will illuminate a trail or campsite. The good news is that the picks listed above are quality headlamps with advanced optics (and we call out any exceptions), so lumens remain a helpful indicator of how bright your headlamp will be. Just be sure to also take into consideration beam distance, beam type, and brand reputation as opposed to solely relying on that single spec. Your average headlamp features a range of lighting modes, and the default setting for most lamps is their powerful LED spot beam (the max distance these can reach is listed in the "beam" section of our specs). While not necessary in all circumstances, a long distance beam can be helpful while checking far down a hiking trail or even for extreme uses like caving. And, as we've found, the spot mode in its max setting on a quality headlamp like the Black Diamond Spot works decently well as a backup option for mountain biking. Picking up a headlamp with a flood light option is necessary for its wide-angle coverage. Best for around camp or in a tent, it’s not intended for distance, but more to maximize the view right in front of you. Mid and high-end multi-purpose headlamps also include red (and sometimes blue and green) LEDs. We’ve found these useful for reading or hanging out at night as the soft light doesn’t blind your friends or disturb your tentmates. Those with specific night needs will find that blue and green LEDs have their place (hunters, for example, will use blue for tracking as it allows them to differentiate between green foliage and the red blood of the animal). Another plus is that these lights don’t make your pupils readjust when you turn them on, so they’re great for navigating a dark tent. A number of options also have some sort of emergency strobe function, which is simultaneously very visible and doesn’t eat into your batteries as quickly. 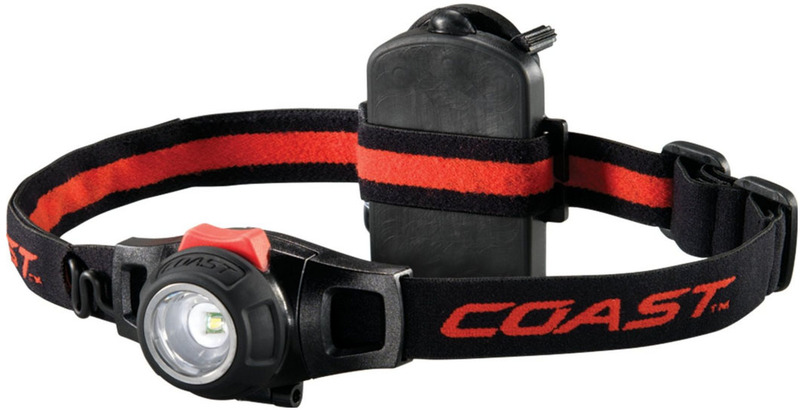 Most standard LED headlamps run on AAA batteries housed in either the main body of the light or the back of the strap. The batteries are packaged tightly and accessed by a clamshell-style door. This is the most prevalent and simple design and found on many of our top headlamp picks. Separate battery packs built into the back of the strap feel bulkier but can redistribute the extra weight well. This style often will have an additional strap running right over the top of the head for support and a secure fit. Lights with higher outputs that are designed for more extreme pursuits like the Black Diamond Icon utilize this design. The downside is extra bulk that will take up a larger footprint on your head and in a pack. Some headlamps, like the Princeton Tec Apex Extreme, have a detached battery pack that allows you to carry it close to your body, preventing the battery from draining in cold temperatures. Rechargeable headlamps are gaining traction due to the obvious benefits of not having to replace the batteries. Instead, use the USB plug-in to recharge before heading out, in the car on the way to the trailhead, or in the backcountry with a solar panel or battery pack. 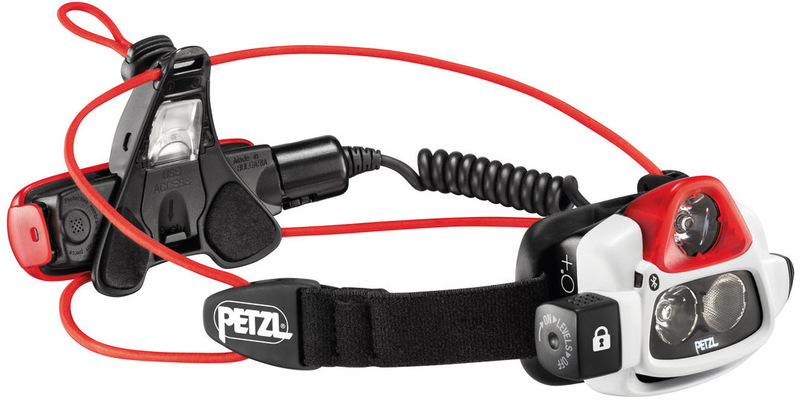 Furthermore, Petzl has begun to design many of their headlamps with a hybrid feature that allows you to use their rechargeable CORE pack, or take it out and insert AAA batteries instead. This is a phenomenal option for those wanting the benefits of a rechargeable headlamp, but anticipate occasions when they’ll go a long time without a power source. For all rechargeable options, you do pay a little price premium—but for some, it’s plenty worth it. The cost and waste of AAA batteries certainly can add up. Clamshell openings makes it easy to access and change batteries. While we’re on the subject of batteries, let’s dive into a few thoughts on the stated battery life for these headlamps. We have listed the advertised specs from the manufacturers in our write-up, but to set reasonable expectations for yourself, be aware that the battery life listed for the highest lumen setting does not guarantee you’ll be pumping the maximum lumens for that entire time. Unless the light is regulated (like the Princeton Tec Apex or Petzl Actik Core), where you’ll get a near constant light output before it drops off a cliff when the battery is spent, the numbers can be deceiving. No matter the guise, expect to see your once-impressive light’s max output become a shadow of its former self pretty quickly – often in as little as a couple hours. Headlamp manufacturers are getting much better at reporting these specs, but it still sometimes takes some digging to get the full answer. Look for charts that list the runtime alongside the lumens level, or, if the light is unregulated, check and see if the manufacturer lists the maximum beam distance throughout the lifespan of the batteries. These will give you a better like-for-like comparison. So how do you maximize your enjoyment of your still-impressive headlamp, outside of just a revolving door of battery changes? A simple tip to get more out of your battery is to only use the amount of light you actually need. Do you really require 275 lumens burning a hole in the side of your backpack as you search for your puffy jacket? Probably not. Dimming the light whenever possible will significantly extend battery life. The weight of a headlamp varies from barely noticeable (0.95 oz. Petzl e+LITE) to downright hefty (14.7 oz. Princeton Tec Apex Extreme). Typically, the more powerful the headlamp and the more serious its intent, the heavier the lamp. 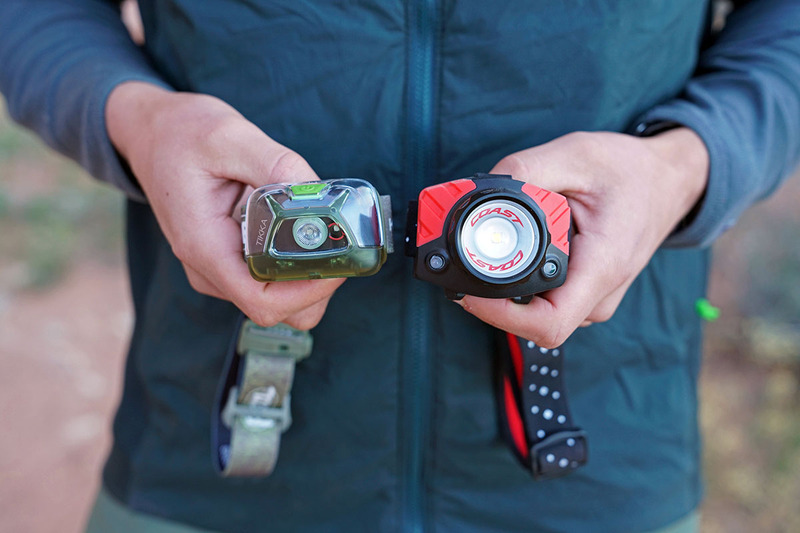 Lightweight headlamps are made with thin plastic casing and require fewer batteries, while heavier options use aluminum or thick plastic to better handle hard impacts. If you don't need the most extreme lighting options, it's a good idea to purchase a lightweight lamp. They're more comfortable to wear, don't inhibit movement, and are easier to squeeze into a pack. How the weight is distributed also plays an important role. The Black Diamond Spot and sibling Storm both carry the batteries at the front, but the 3-ounce Spot feels much lighter on the head than the marginally heavier 4.2-ounce Storm. What seems like a miniscule decrease in weight makes a big difference in use: the Spot is comfortable doing just about anything, while the Storm starts to bob up and down if you start running. Putting the battery pack at the back of the strap becomes necessary as the weight continues to climb. Tied directly to the weight of the headlamp, strap styles range from minimalist to strong and supportive. There are two primary strap designs: a simple elastic nylon that wraps around the sides of your head and a 2-piece system that has an additional strap running over the top of your head. The 2-strap style is popular for more serious adventuring when you’ll be wearing a helmet like caving, rock climbing or mountaineering, but the more secure fit can be beneficial even for casual use. And many headlamps make it easy to remove the top strap when it’s not needed. Most folks, however, still choose the simple around-the-sides design. They’re usually helmet-compatible, easy to adjust, and plenty supportive for most uses around the house or in the outdoors. Only three of the headlamps listed above are specifically designed for running, but a number of them will perform well in a pinch. A lightweight headlamp like the Black Diamond Spot is a suitable choice for someone looking for an all-around option. If, however, you’ll be exclusively running with your headlamp, we recommend the Black Diamond Sprinter. This headlamp falls short in specs and performance compared with multi-purpose units, but its good weight distribution (with rear battery pack), excellent short-distance beam, and rear facing strobe light are all standout running features. On the other hand, Petzl’s new Bindi is an intriguingly innovative headlamp for those wanting an ultralight, rechargeable option. And if you want to keep the price low, try out the Nathan Neutron Fire—an inexpensive headlamp with great visibility features but less power.